Blake is the content manager for DailyMTG.com, making him the one you should email if you have thoughts on the website, good or less good (or not good). He's a longtime coverage reporter and hasn't turned down a game of Magic in any format ever. On the first day of previews, we introduced you to the Elder Dragon Silumgar and, perhaps more importantly—based on internet reaction—we introduced you to his fancy jewelry. If you don't know what I'm referring to, then this Arcana is for you. And if you do, you're probably tickled enough to keep reading anyway. You see, Silumgar is a cruel master, and a bit proud as well. And one of his most prized possessions is one you might recognize. Let me give you a hint. Look familiar? 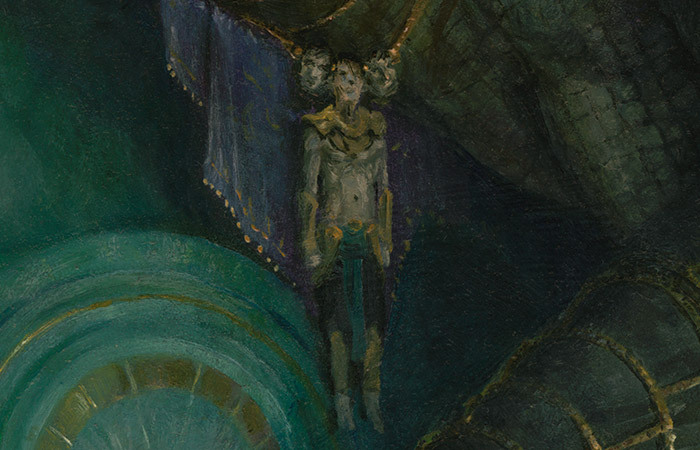 That's right, Tasigur, former khan of the clan formerly known as Sultai, is now magically preserved on a necklace for Silumgar to wear on special occasions! Silumgar did say Tasigur was his finest trophy, after all. Location: On an elaborate platform within a Silumgar palace. Action: This is the showcase portrait of the DRAGONLORD SILUMGAR. The dragon reclines in luxury on the platform, essentially a throne made for a recumbent figure. The "throne" is golden, studded with gems, with more offerings of gems, coins, and other riches around its base. The dragon is obese, drooling, and decorated lavishly with jewelry. Rich candelabras and torch sconces illuminate the scene. 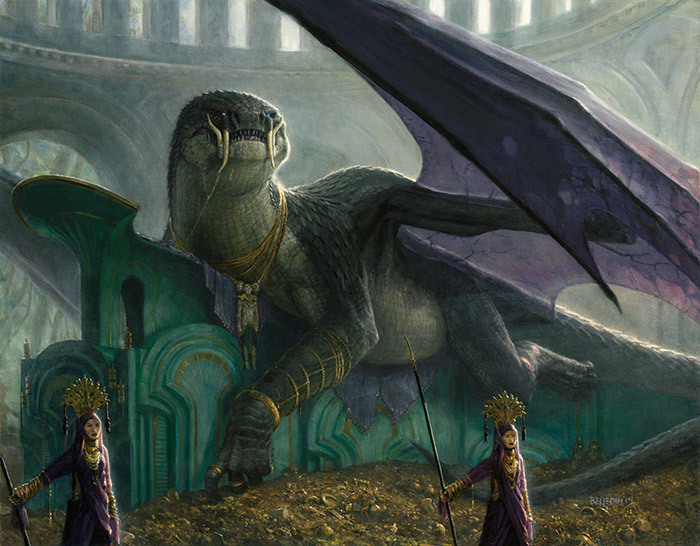 The throne room could contain elements shown in the card Tasigur the Cruel from Fate Reforged. Perhaps the dragon ordered it remade to suit his needs better. Mood: A hedonistic, cruel master. Steven Belledin was on the in-house concept push and designed the dragonlord Silumgar, which was later assigned to him to paint in oil. 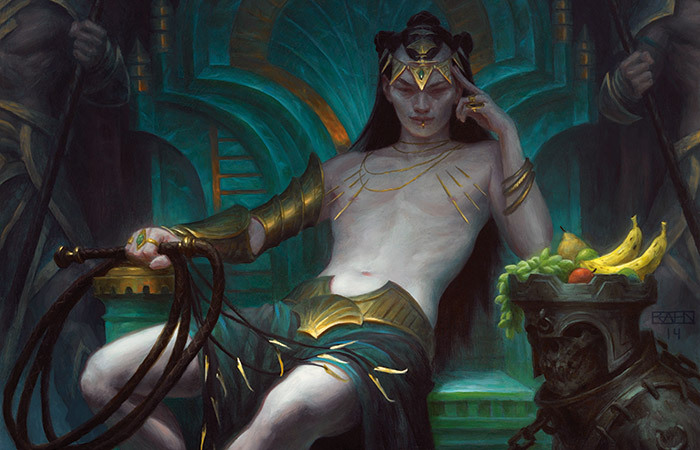 Steve was then familiar enough with the story that once he saw Tasigur's final design, combined with the art description, he knew he could add Tasigur's garb to the corpse necklace and add a relevant and fun final touch.